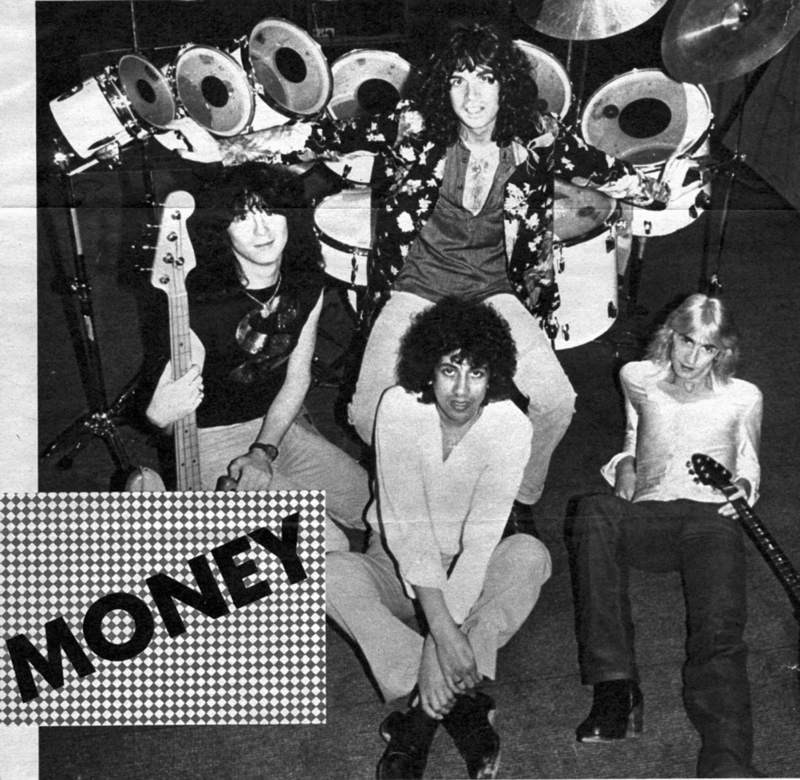 Money were a Birmingham based rock band formed in 1977 from members of former local bands Gypsy Rose and Walrus Gumboot. They signed a publishing deal with Judas Priest’s old label Gull Records and released their debut album First Investment, produced by Chris Tsangerides (Black Sabbath, Gary Moore, Tygers of Pang Tang) in 1979. Despite heavy gigging, Radio One Rock Show sessions and airing of their only single (Aren;t we all searching?) and good rock press reviews the album failed in the UK but on release in Japan, notched up sales of over 23,000 copies. Due to lack of Rec Co financial support the band left Gull and released an EP (Money) in 1980. Line-up changes and lost opportunities resulted in the band splitting just as a big London Management co were showing interest. The band members went on to form various bands and music activities. In 2007 the album was picked by On-line co Rock Candy Records mastered to CD and presented with a 16 page booklet containing the history of the band. This is currently still available on-line through Rock Candy http://www.rockcandyrecords.co.uk/store.